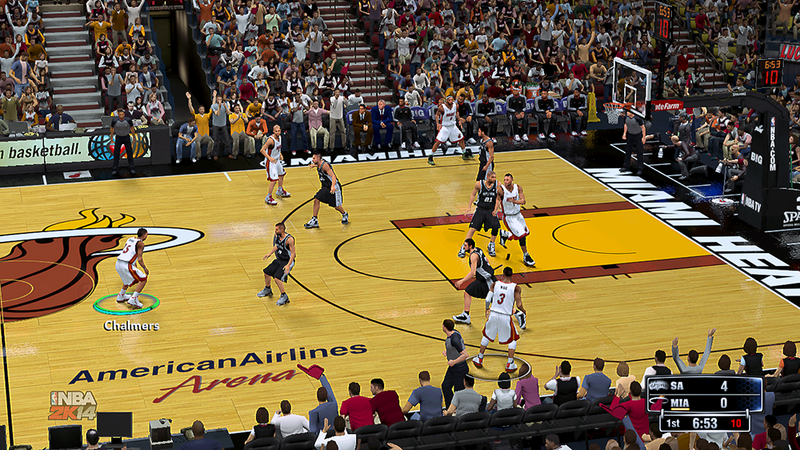 This NBA 2K14 patch updates the American Airlines Arena in the game, home court of the Miami Heat. The floor comes in two versions: version 1 has "Samsung Galaxy" wordmark above the sideline, while version 2 has "@MIAMIHEAT". Choose between the two and place it to your game folder.